Start Here to Make a Difference! 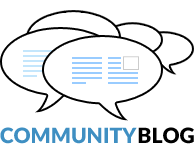 Participate in ICJB’s most recent calls to action. Tell Your Friends: Share our Video, The Justice Element, a spoof on Dow’s The Human Element, that gives a brief background on the Bhopal Gas Disaster. Sign up to participate in the 60 Day Global Solidarity Fast for Bhopal. 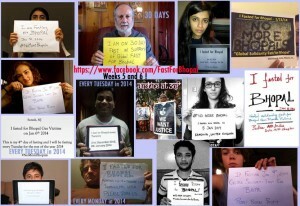 Supporters sign up for a day (or more) and post a picture of themselves, with a sign saying when and why they fasted, on the Global Solidarity Fast’s Facebook page. Donate: Make a tax deduct-able donation to the Campaign. Join our mailing list, like our facebook page or follow us on Twitter! 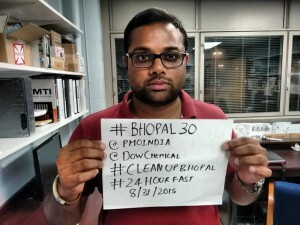 Connect with ICJB: Introduce yourself and we’ll connect you with Bhopal activists near you. Participate in Our Current Campaigns: Boycott Dow Chemical, tell the UN to support the survivors, and more. Start a Local ICJB Chapter or Campus Group: Check out our Skills & Resources Toolbox, a complete A-Z guide that will help you create your own campaign! Plan an Action: Plan a powerful campaign action of your own that garners media attention and puts pressure on Dow Chemical. Volunteer with ICJB: Volunteer with ICJB at home or on the ground in India! Contact us for more information. Volunteer in Bhopal: There are also volunteer opportunities at the Sambhavna Trust Clinic in Bhopal, which serves only survivors of the Bhopal Disaster. The Clinic is maintained by the Bhopal Medical Appeal.